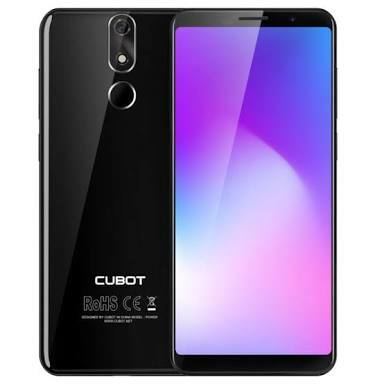 Cubot took their smartphone making up a notch with the Cubot Power that comes with decent mid-range specs. Apart from the juggernaut battery inside, the storage space on the smartphone is massive. It might just be one of Cubot’s best smartphone yet as it built with an impressive mid-range internals. How much of a beast is the smartphone in terms of longevity and performance? Dive in and find out yourself. If one thing is glaring, it is that the Cubot Power has a glossy finish which is quite prone to scratches and smudges. Aside that, it is also made of plastic which takes away the quality metallic and glass build brings to the table. It is quite heavy mainly because of the large battery size weighing 211g and having a thickness of 9.75mm. However, handling is still very much easy and can still be operated with one hand thanks to the 18:9 aspect ratio. For display, it employs a nice IPS LCD screen with a satiable resolution.for a mid-tier smartphone. It has a size of 5.99-inch, a normal display size for smartphones nowadays because of the large display style most OEMs adopt. The pixel density is 402 ppi which is okay from the 1080 X 2160 pixels resolution it has. Coming to one of the key feature of this phone and likely the reason behind the power moniker the smartphone carries. The smartphone have got a 6, 000mAh battery which can also be charged using fast charge. You can expect to use the smartphone for two days comfortably without bordering to plug it in. The Cubot Power decides not to go down the dual rear camera road with just a single 6P lens at the rear side. To take selfies, you’ll be employing the service of a 13MP camera with 4P lens. The primary camera is a 20MP Samsung sensor with LED flash. 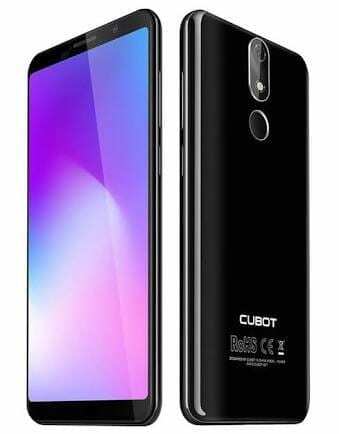 When it comes to hardware, the Cubot Power is among the Chinese OEM’s most powerful smartphone. The smartphone sports a MediaTek Helio P23 processor which wotks side by side with an ARM Mali-G71 MP2 GPU. In addition, the smartphone has a large128GB internal storage and a 6GB RAM that is more than enough for a hitch free navigation. On an average, you would enjoy the stock Android 8.1 OS on the smartphone free from bloatware. Sales of the smartphone has commenced already on online stores for about 90, 000 Naira depending on the deal and location.